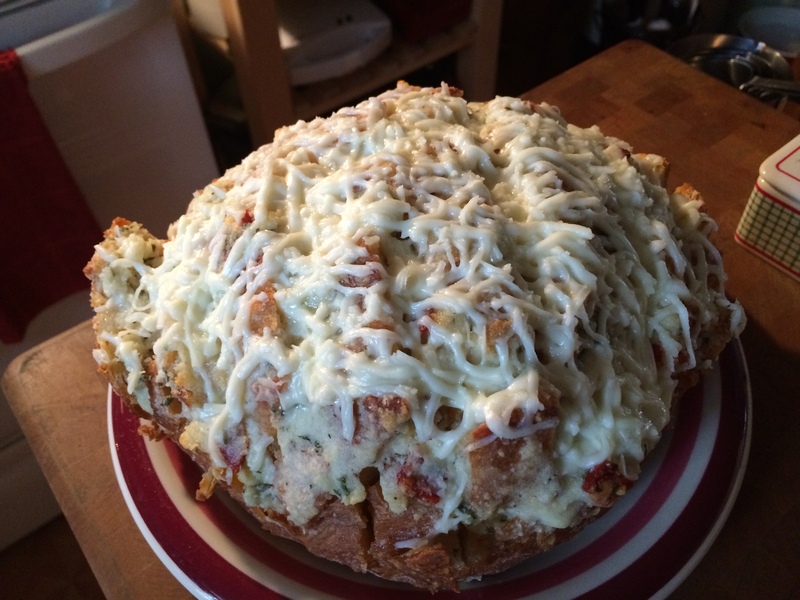 This Cheesy Pull-Apart Bread couldn’t be easier to make or more delicious. 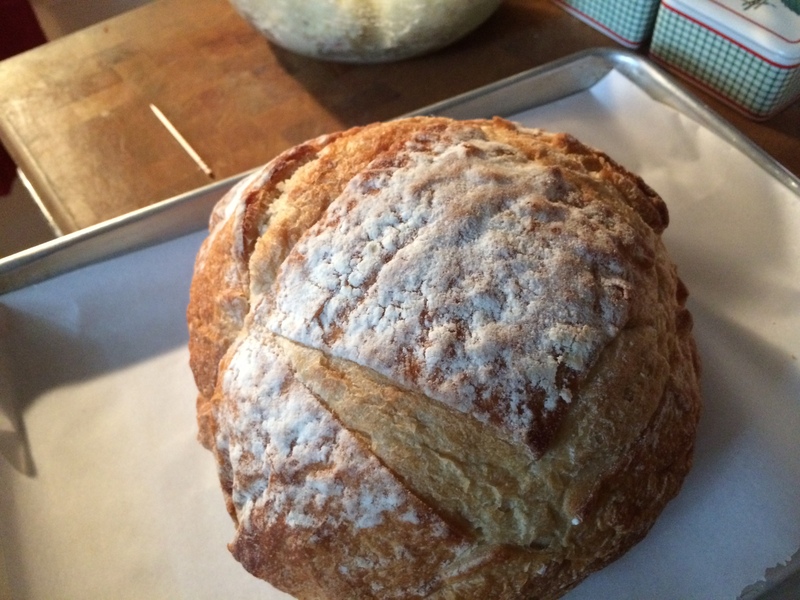 First, start out with a boule. That’s just French for “ball”. 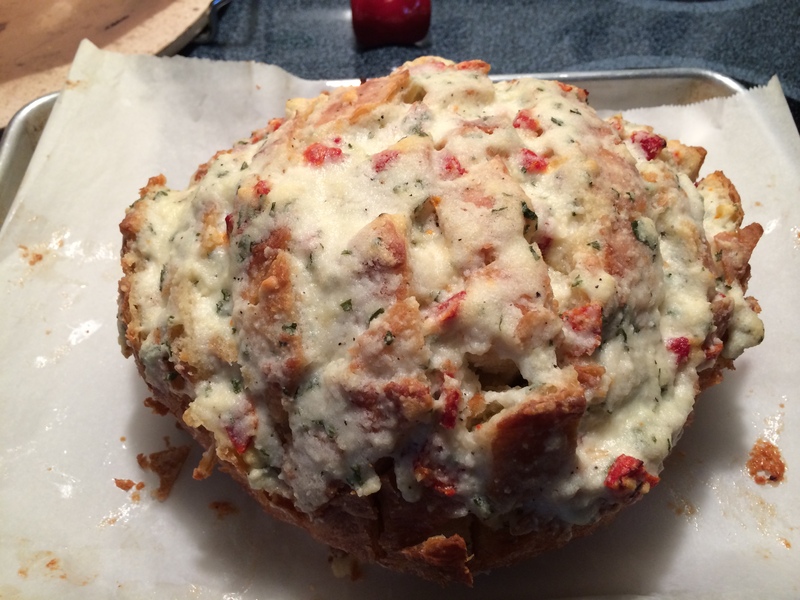 Place the boule on a rimmed baking sheet lined with parchment paper. Now for its close-up. You won’t believe how good this is. 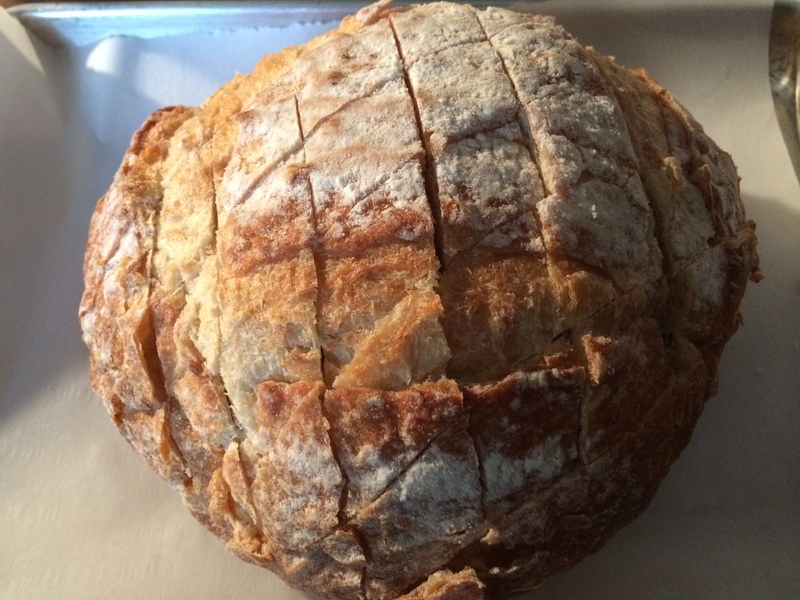 Place the boule (round loaf of French bread) on a rimmed baking sheet lined with parchment paper score the bread, in a criss-cross pattern, almost all the way through. In a large bowl, add room temperature unsalted butter, grated garlic, softened cream cheese, finely chopped sun-dried tomatoes, freshly grated Parmesan cheese, grated garlic, kosher salt, freshly ground black pepper and finely chopped basil leaves. Mix to combine. Stuff all the bread crevasses with the filling. Place the baking sheet, just below the center position. Bake for 20-25 minutes. Remove the bread from the oven. Turn the oven off. 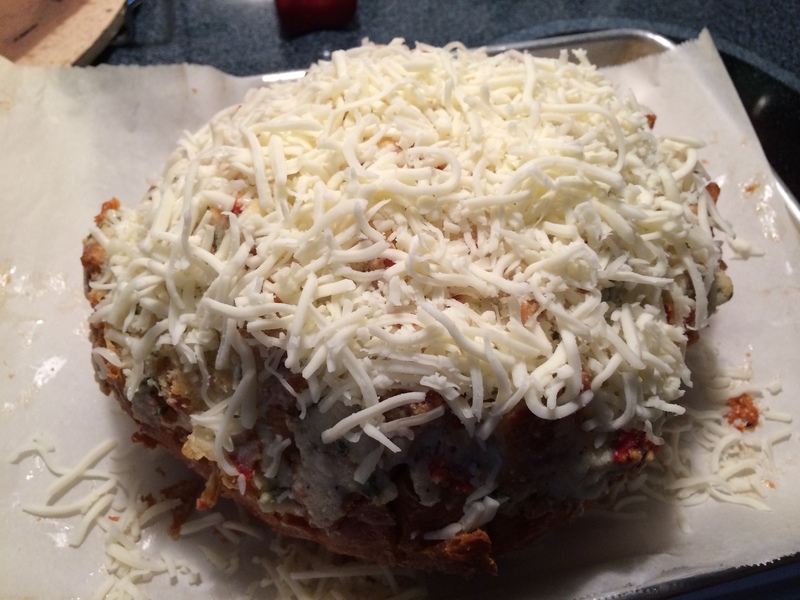 Sprinkle the top with shredded mozzarella cheese. Place the boule back into the hot oven, keeping a close watch for another 1-2 minute longer allowing the cheese to become gooey and delicious. 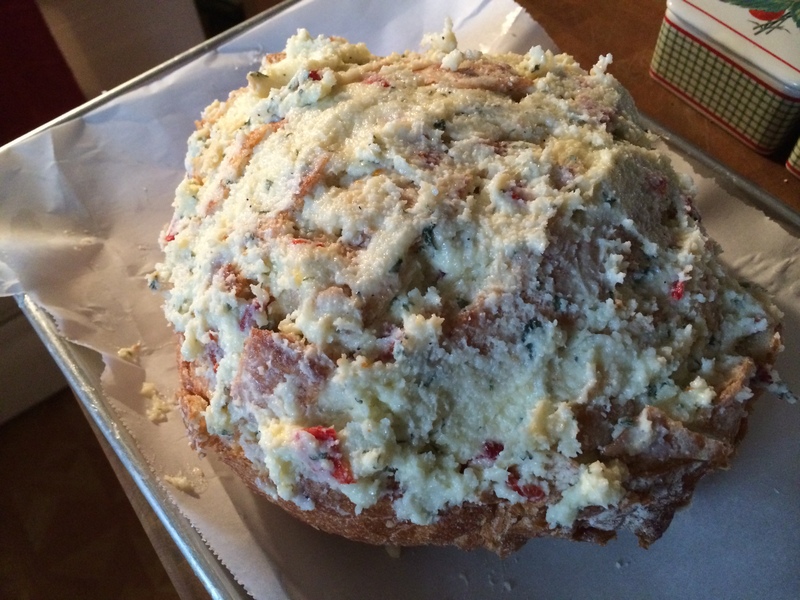 If you are using a smaller loaf, you will need to cut back on the amount of cheese and other ingredients you use. Serve hot. Perfect with a side of marinara sauce.